So you have a writing project that you need help with. Perhaps you need a copywriter for your website or ads, or maybe you need help writing your blog posts. Should you tack a sign to your front door that says, “freelance writers for hire!” much like the “help wanted” signs that adorn so many business doors? Should you put an ad on a job board like Monster and try to make it clear you want a part-time, as-needed freelancer? These are important questions, and challenging ones. It can be a relief to determine you need help with your writing, someone to share the burden of what can be a challenging task, but this realization can quickly feel overwhelming when you try to tackle the challenge of finding qualified, reliable writers. Especially if you’re looking for a freelancer – someone who will be there when you need them, but not someone who you can afford to pay a full-time salary and benefits. Fear not! We’ve got answers for you. 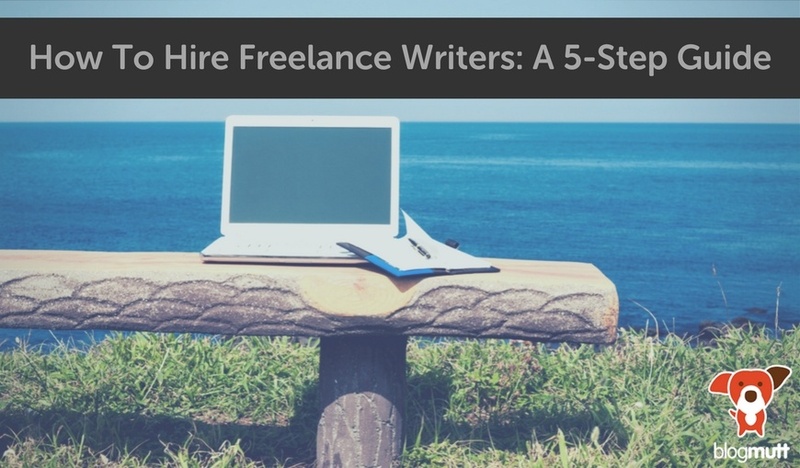 So stay with us – we’re going to walk through the five steps to hiring freelance writers. To find what you’re looking for, you have to know what you’re looking for. This sounds obvious when you read it, but it’s a critical step and one that’s often skipped. If you take even a little time to understand this, it will make the next steps in this process much easier and yield better results. What do you need written? Copy for your website? A blog post? An ongoing series of blog posts? Copy for your online ads? A video script? Social media posts? An e-book? All or some of the above? What quality level do you need? Before you say “the best!” keep in mind that there will be a strong correlation between price and quality, and not everything needs to be top-notch quality. If you need copy for a page on your website that’s necessary but rarely seen, perhaps better to get it done cheaply and allocate your dollars elsewhere. How complex is the writing you need done? How much interaction will you need to have with your writer? If you need an explanation of common industry term, you can likely get that without spending immense amounts of your energy interacting with your writer. If you need a detailed explanation of a proprietary product feature, you’ll need to have a detailed conversation with your writer to give them what they need. Do you need one writer or multiple writers? You may not know the answer to this one yet, but it’s something to keep in mind. Selecting one writer will allow you to form a deeper relationship, but having several writers will provide variety with different writing styles. How much you can afford to pay freelance writers is different for every business, but answering the questions in step 1 will help you answer this. If you have at least a ballpark figure in mind, you’ll be much better equipped to evaluate your options. 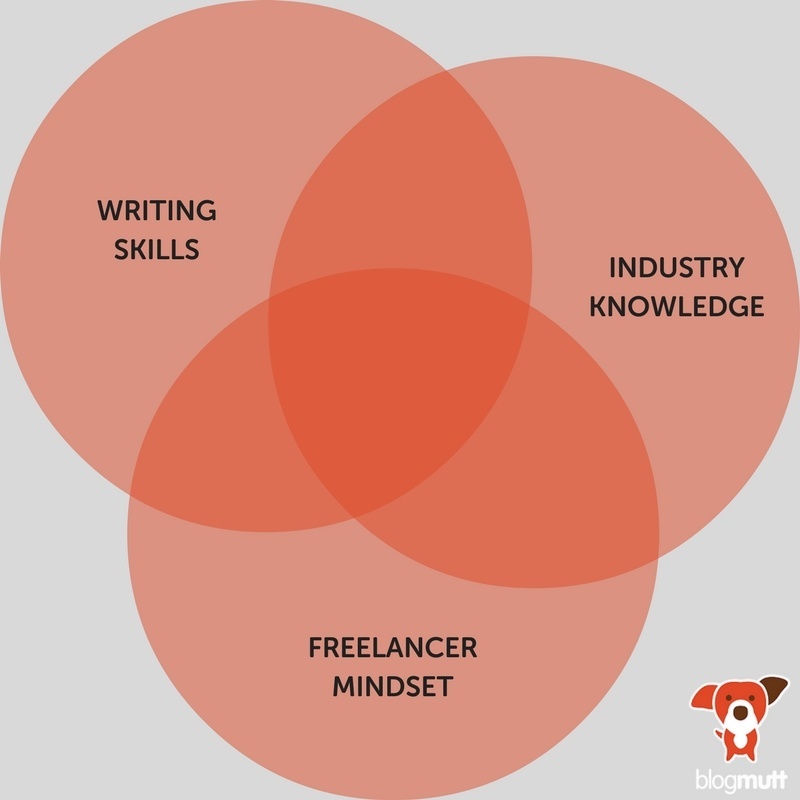 Because the intersection of this Venn diagram is likely quite small, finding freelance writers using the traditional process you’d use to find an employee for your business is going to be very challenging. For this reason, we recommend heading to the internet. Hire Freelance Writers … Online? Could you virtually hold up your sign advertising ‘writers for hire’ online? Sure. You can also go looking for people who advertise that they are writers. 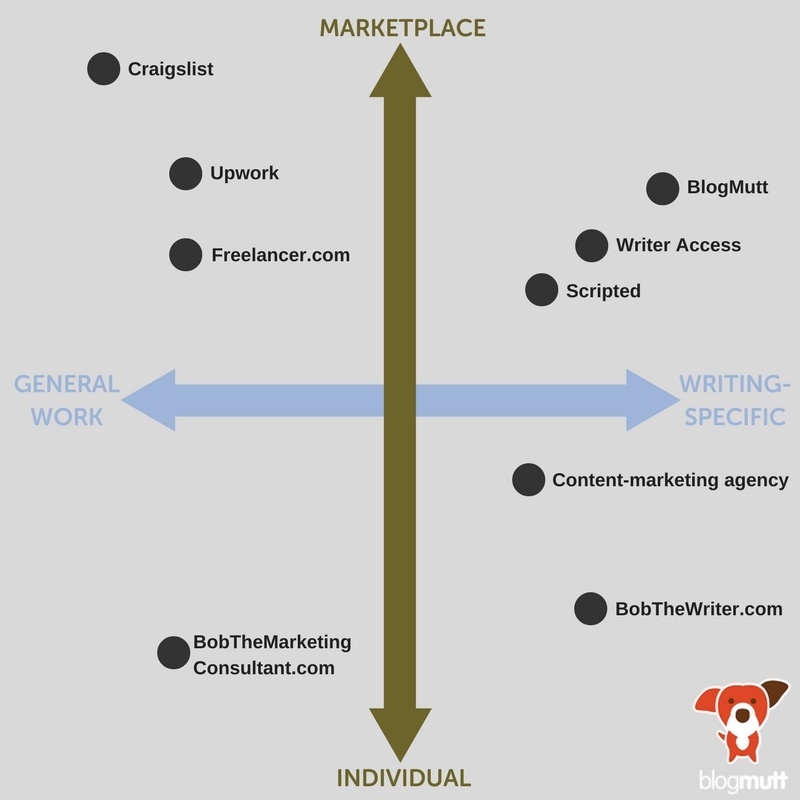 So you’ll need to decide whether you are looking for an individual, or want to use a marketplace to either find multiple writers, or find the best writer for you. You’ll also need to decide whether you want someone who specializes in writing or a more general online-work marketplace. And then if you want to think back to your high-school math days, you can add a third axis to make this thing all three-dimensional and add a quality scale too. We didn’t have the 3-D rendering capabilities for that, but we’ll give you some guidance on quality below. Let’s break down these options and examine the pros and cons of each. Craigslist is everywhere, or just about. You may have even used the service to hire employees for your business locally, and that is one of the primary benefits of Craigslist – you may find someone local enough to meet you for coffee before getting to work on your writing. Sites like UpWork and Freelancer.com have vast networks of freelancers of all stripes – you can find freelancers who do everything from business card design to website development to writing. If you haven’t heard of it, Fiverr is a freelancer marketplace that offers numerous services for just $5. (Though be warned, almost all freelancers on Fiverr offer “add-ons” that make the final cost of your project much more than $5.) The prospect of getting something written – an ad or blog post – for $5 can be incredibly tempting. But put on that, “If it sounds too good to be true, it probably is” lens your dad told you about. $5 just isn’t enough money to pay someone to get quality writing. You’ll end up either paying more through upsells, end up with something plagiarized, or end up with something obviously written by a non-native English speaker. A simple Google search for “content writer” or “small business copywriter” will return more results than you can handle of individuals and agencies hawking all sorts of writing-related services. These tend to fall into two camps: individual consultants and writers and agencies – a company focused on selling writing services or more general marketing services, one of which is writing. The process of evaluating quality is 100% on you. You won’t be able to find accurate ratings, and you may find you’re trying to judge someone’s writing ability by how pretty their website is – two very different skillsets. Price, quality of work, and quality of service vary hugely. It can be difficult to tell when you’re getting good work, good service, and a fair price. UpWork and Freelancer.com are marketplaces for freelance writers work as a whole, but there are a number of companies that serve as freelancer marketplaces specifically for freelance writers – WriterAccess, Scripted, TextBroker, and Verblio (hey, that’s us!) are examples. Some of these companies also have a platform that makes the process of finding writers, interacting with them, getting the writing product, and requesting edits much easier and less manual. You’ll note that price varies considerably across these platforms, as does ease of use of the platform itself. Once you’ve selected your writer (and type of platform and relationship you’ll have), it’s time to get started! Since the best way to evaluate a writer is to have them actually write for your business, this first writing project will give you critical insight into whether the writer has what it takes to work with on an ongoing basis. Before you can evaluate a writer, it’s important to make sure you’ve given the writer everything they need to succeed. Hint: the more clearly you can describe what you want, and the more thorough you are, the better. Be clear. You need to be explicit with your writer about what you’re looking for. What is the goal of your writing project? What format do you expect it in? How long should it be? What sort of style should be used? Do you have an outline you’d like them to follow closely in the piece(s)? Include all the relevant information. Where will this piece of writing go when it’s complete? Are there links/pieces of key information that needs to be included? What do you expect readers to do after they finish reading? Will you be including any images to support the writing? Any special instructions? Where can the writer go to learn more about your company before writing? Give examples. One of the best ways to communicate what you want is to cite examples of similar work that you think are great. An ad you love, a blog post that uses the same style, formatting, and structure as the one you’re looking for, a landing page from a different industry that you’d like to mirror. Establish clear communication guidelines and timelines. Set the ground rules that are in your head, and you’ll have a much better chance they’ll be followed. When do you need this piece? How will you handle edits? Do you want your writer to deliver a finished first draft, or check in after the first paragraph to make sure what they’re doing is on track? Evaluate. How did the writer do against the deliverables set out? Did they go above and beyond on anything? If they missed any of your deliverables, could this be due to lack of clarity when you assigned the project? Provide feedback and request edits. Any individual or service worth using should allow you to request edits. So before you dismiss a writer as not able to produce what you’re looking for, provide feedback and request edits. With writing, it often takes some back and forth to achieve desired results and communicate feedback. Learn. After your project is done, ask yourself, what did you learn from the process? How can you improve your end of things? Was the service or individual you picked the right fit, or do you need to try a different approach in who you work with? Test and repeat. As you work on more projects with freelance writers, use your learnings to test new approaches in how you communicate with your writers, the guidance you give, and the type of work you ask for. And remember, like anything, the more you do it, the better you’ll get. As you complete more projects with your freelance writer pool, you’ll become more proficient at getting better work, faster. Hiring freelance writers can be daunting, but many, many businesses can benefit by working with freelance writers. So follow the process, learn along the way, and be patient—you’ll end up with awesome writing for your business.